What is Artico Ice Bar? 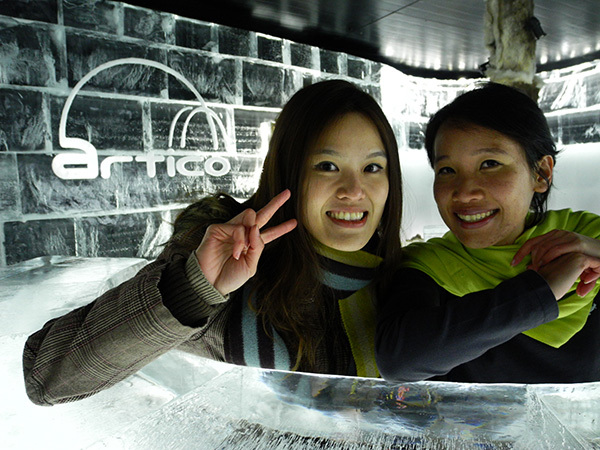 ARTICO ICE BAR is a one-in-a-lifetime experience. We’re not a tourist attraction, neither just a “cool” place to have a drink, nor one of those facilities made up of fridge-ice in unthinkable places around the world. ARCTIC ICE ON DISPLAY IN THE ARCTIC. In spring-summer season, when there is no ice or snow covering the landscape, we show what Nature has done during the cold winter months. Knowing Nature through pure ice. Chunks of Lapland’s frozen lakes, snow from the mountains, feelings of winterly cold and the polar night in full-time summer; a way of knowing Nature through pure ice. Visitors will be able to observe, touch and feel natural ice in its full wonder.